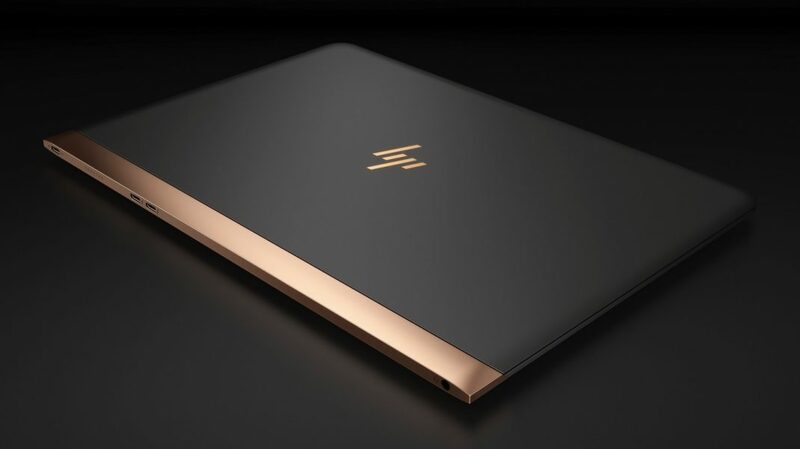 HP earlier today officially announced its brand new HP Spectre laptop at the New York Times International Luxury Conference along new premium portfolio including new ENVY laptops. 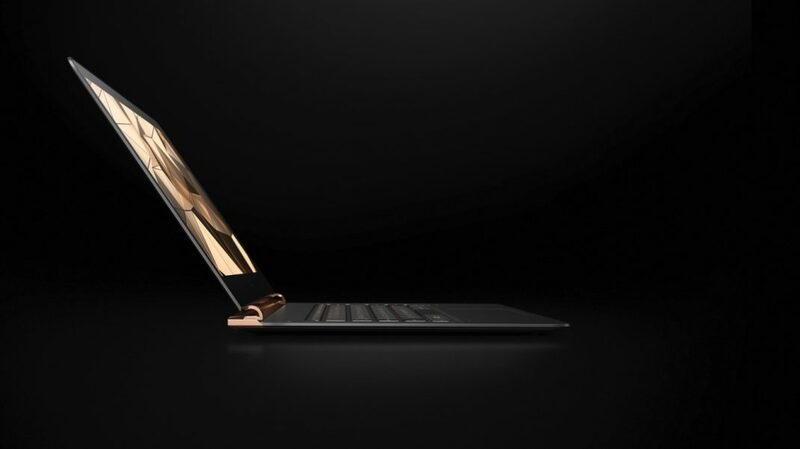 HP newest laptop, HP Spectre 13.3, isn’t like anything else in the company’s lineup. 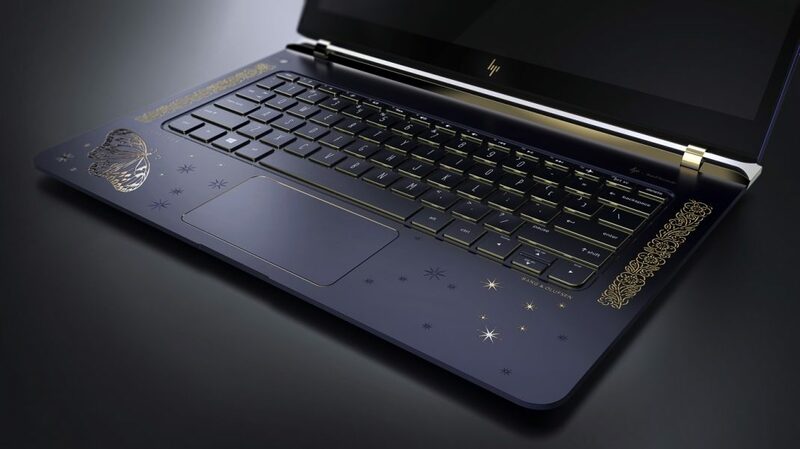 In addition, HP has also partnered with world-renowned designers Tord Boontje and Jess Hannah to produce luxury limited editions of the HP Spectre that may appeal to those who like gold coating and encrusted diamonds. 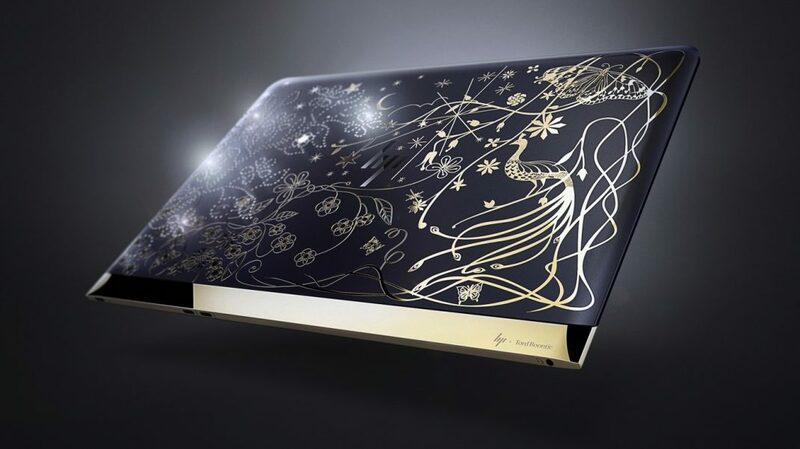 A carbon fiber bottom creates a thin profile that is both durable and lightweight, keeping the total weight of the notebook at just 2.45 pounds. 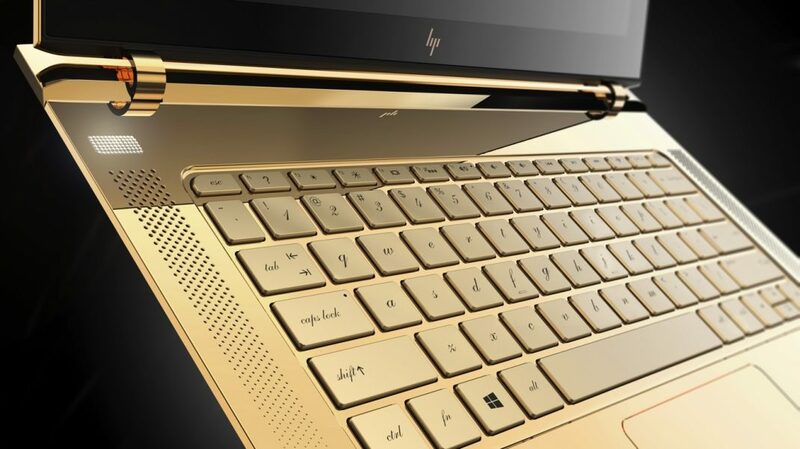 High gloss copper accents reflect a hand-polished, jewelry-like finish and an innovative hidden piston hinge creates the illusion of a hinge-less design to offer an unmatched premium look-and-feel. 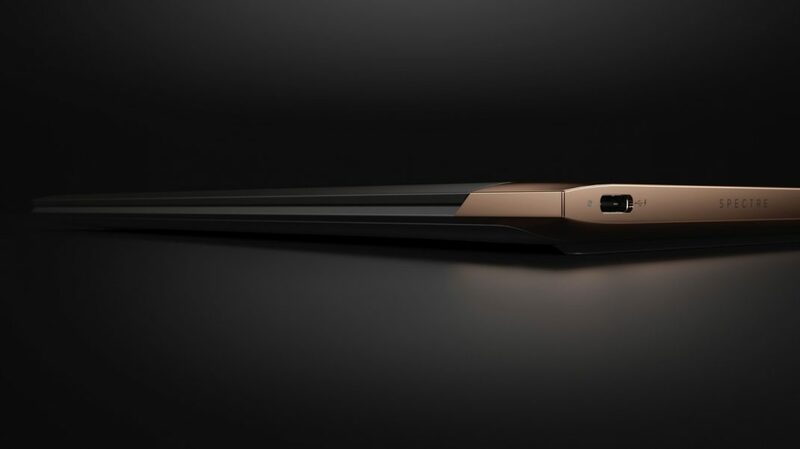 Full HD IPS edge-to-edge display featuring Corning® Gorilla® delivers a superb viewing experience for editing photos, perfecting a presentation, or watching a movie. 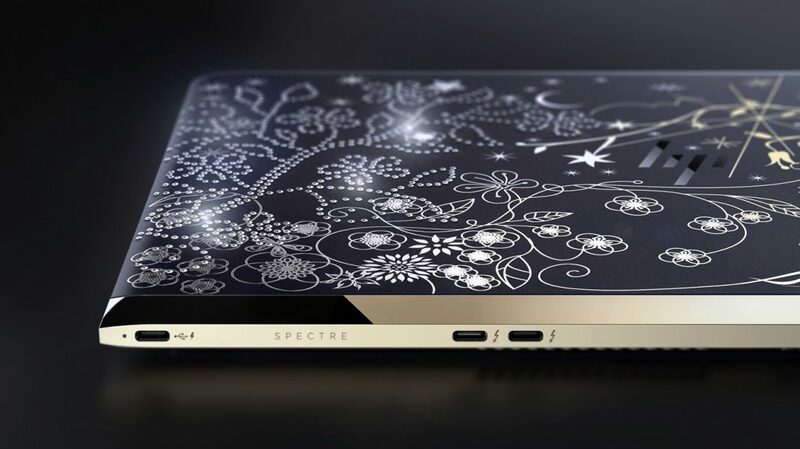 6th generation Intel® Core™ i5 and i7 processors and a lightning fast PCIe SSD with storage up to 512 GB with up to 8 GB of memory for maximum performance. Integration of Intel® hyperbaric cooling system keeps the machine running cool even with powerful processors in a small package. 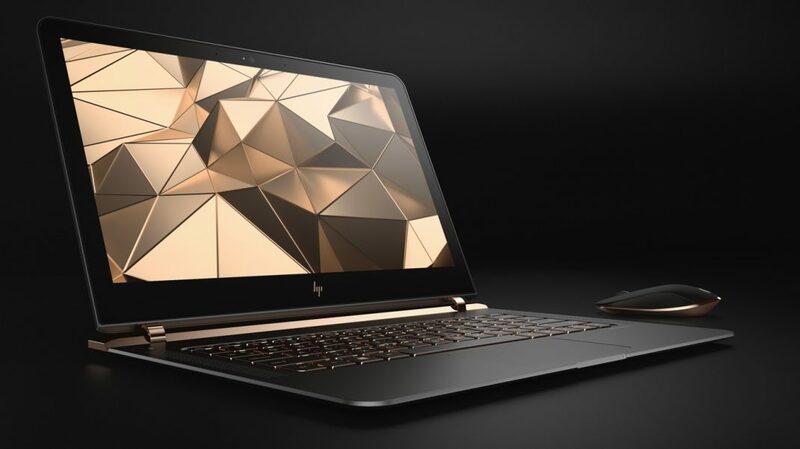 An innovative hybrid battery split into two thinner pieces delivers the same wattage as a single battery for up to 9 and half hours of battery life while enabling the world’s thinnest laptop. Three full function USB Type-C™ connectors, including two of which support Thunderbolt™, to provide a fast, versatile I/O connection.